Remittance Tie-up with Citizen Bank International Ltd.
Panos Remit and Citizen Bank International Ltd. have signed an agreement on 09/07/2018 to pay remittance of Panos Remit from all branches of the bank. 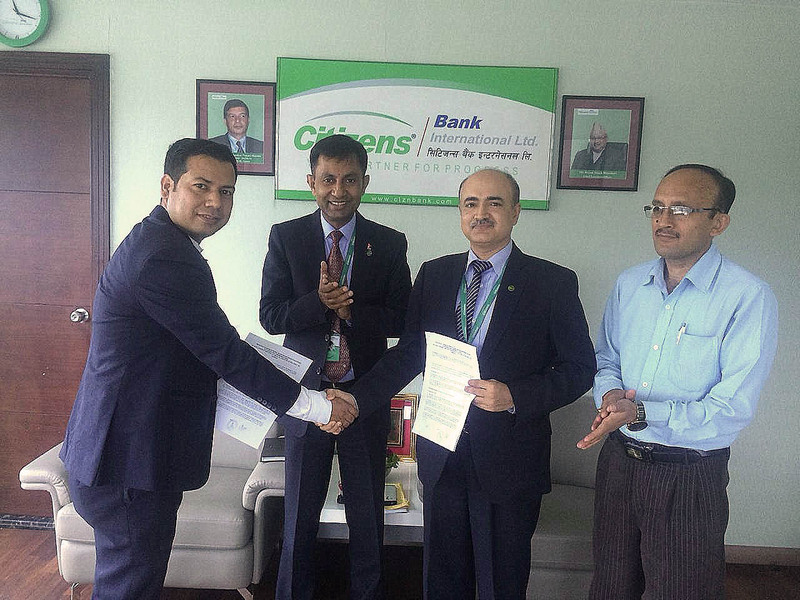 Chief Executive Officer of Panos Remit Mr. Dharma Poudel and Chief Operating Officer of Citizen Bank International Ltd. Mr. Paras Kumar Kafle signed the agreement in presence of Business Development Manager of Panos Remit Mr. Bhupal Basnet and Deputy Chief Executive Officer of Citizen Bank International Ltd. Mr. Ganesh Raj Pokharel. Panos Remit is doing remittance service mainly from Europe and Middle East with various international partners.